‘Clappers’ may not be my favourite song off of Wale's ‘The Gifted’ album, but it surely is a catchy one. 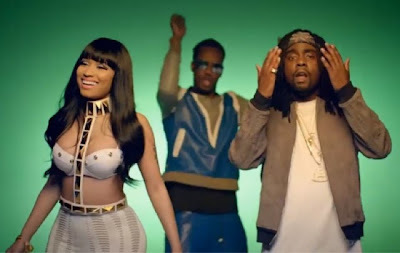 Wale, Nicki Minaj and Juicy J bring out the booty clapping women in this bootylicious Benny Boom-directed clip, where the women are going HAM! The only person missing from the video is Miley Cyrus seeing as she wants to be a twerker so badly! Lol..